Randy Deatherage, a project engineer from our Arlington, Texas office, recently visited O.D. 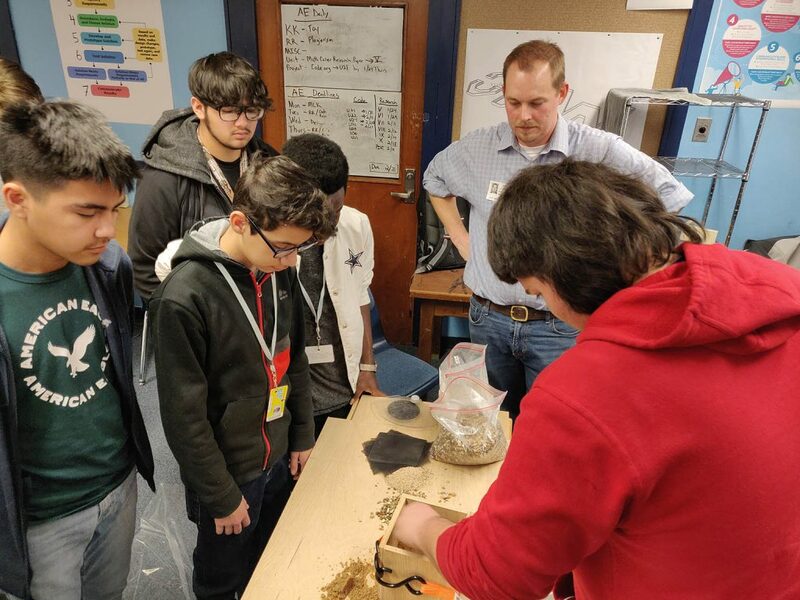 Wyatt High School in Fort Worth, Texas to present to the school’s new civil engineering club. 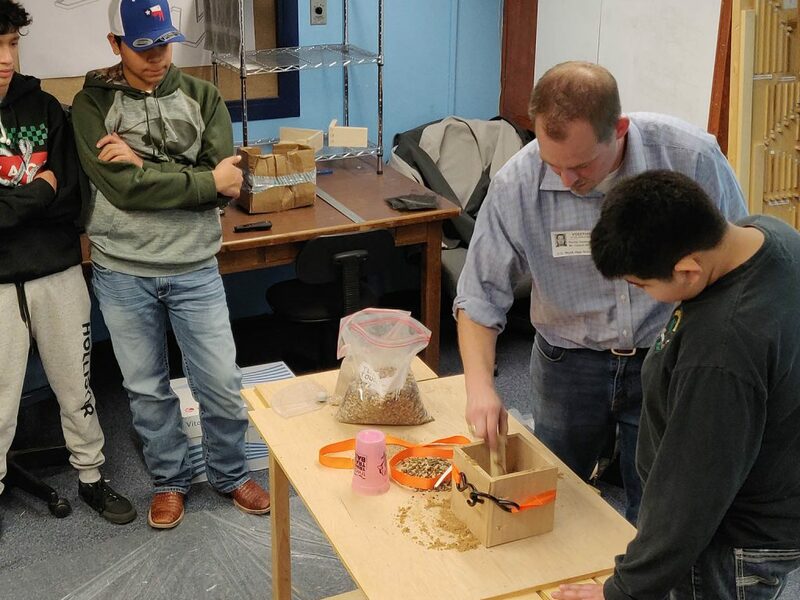 The new club is the first of its kind on the west side of the Dallas/Fort Worth metroplex, and will host weekly presenters from various civil engineering fields who will speak with the class about their engineering experience and lead the group in a hands-on activity. 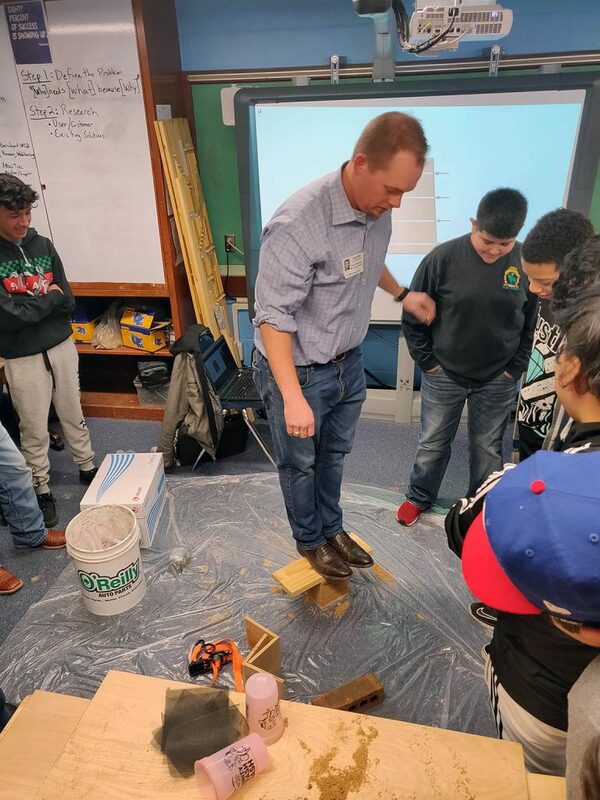 As the group’s first presenter, Randy discussed his background with geotechnical engineering and led an activity with mechanically stabilized earth, which are commonly used in retaining walls and bridge abutments. Using the reinforced soils, Randy demonstrated how a sandcastle could support the weight of a human being. 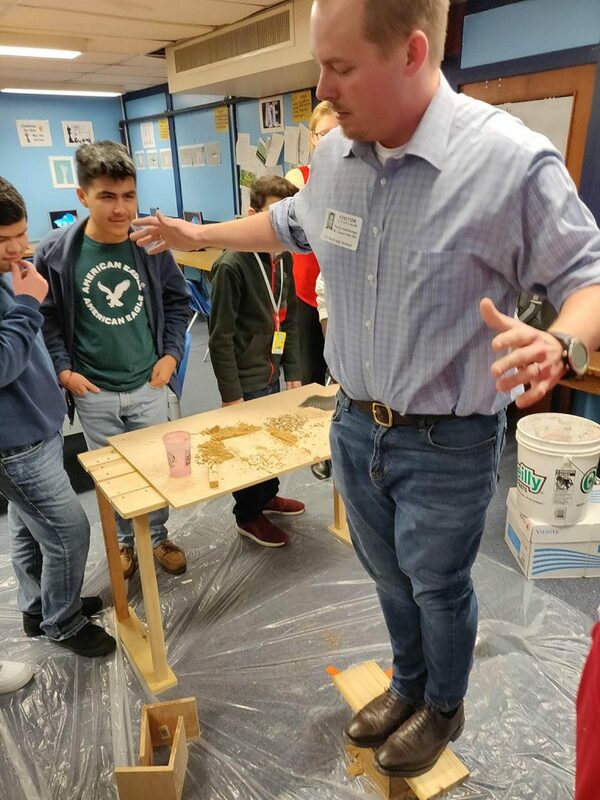 We were happy to visit the new civil engineering club and share our excitement about the engineering profession with the next generation of engineers. 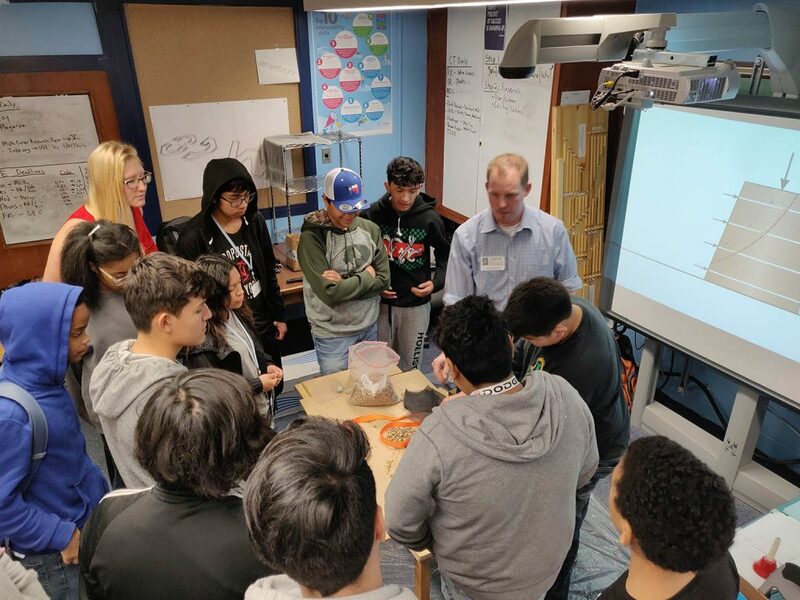 Braun Intertec fully supports giving back to our communities by volunteering with groups like these that advance STEM education. Check out some photos from our visit to the O.D. Wyatt High School civil engineering club.